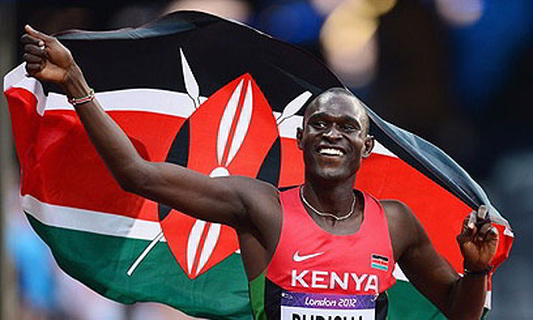 David Rudisha, Vivian Cheruiyot and Ezekiel Kemboi await to be inducted into the Confederation of African Athletics (CAA) Hall of Fame. World 800m record holder, David Rudisha, Olympics 5000m Champion, Vivian Cheruiyot, the dancing master and four-time World Champion Ezekiel Kemboi, await to be inducted into the Confederation of African Athletics (CAA) Hall of Fame. There is no double guessing when it comes to the accolades of the trio. Giants in their own rights, the three deserve to be in the hall of fame with their individual feats both at local and international events. In addition to that, they are Olympic champions in their respective races. The three athletes will be bestowed with the hall of fame accolade in Asaba during a dinner set to welcome athletes and officials who will be participating at the 21st African Athletics Championships. This event will take place at the Event Center in Asaba on July 31, 2018. The organizers of the event, Confederation of African Athletics (CAA) and Delta State Capital Territory Development Agency have also included a number of other African champions on a list that has Nigerians as the majority followed by Ethiopians. The Kenyan trio of Rudisha, Kemboi and Cheruiyot will be joined by the Nigerian golden girls and the 2016 Champions of the 4x200 IAAF relay at the Bahamas. The girls who are led by Blessing Okagbare will be part of the dinner in Asaba. Ethiopians on the list include World Champion Tirunesh Dibaba, Vivian Cheruiyot's predecessor and former 5000m record holder Meseret Defar, Champion Genzebe Dibaba, Almaz Ayana and Olympic long-distance legend Kenenisa Bekele. Caster Semenya and Wayde van Nieckert from South Africa are also on the list. The International Association of Athletics Federations (IAAF) President Sebastian Coe, CAA President Kalkaba Malboum and members of the CAA executive committee, Asaba State Governor Dr.Ifeanyi Okowa, and other top government officials at the Federal and state level, diplomats and the Local Organising Committee led by Chairman Solomon Ogba will be in attendance at the dinner.